Hello friends! 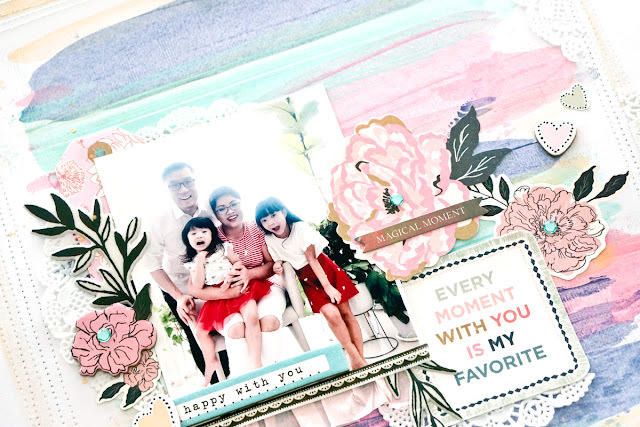 It's Jessy here again to share with you this layout that I had so much fun creating. i absolutely loving those new acrylic paints. I kept thinking of fun ways to feature them and decided to create stripes of paint as background. To begin, I used a recycled gift card to spread the paint across. Started that process by squirting a lil paint across the card. The amount of the paint will also determine how wide you want your stripe to be. Then I slowly spread the paint by applying the pressure to the card against the cardstock and pulled across. Keep alternating the colors until your background is filled with paint, from top to bottom. I also added some gold paint to create the subtle contrast in between the colors. Once the paints are dried, I stitched all around the layout. I wanted to create a frame and at the same time to add more interest & texture to my layout. Next, I positioned the photo in the middle and continued with the embellishments all around the photo. These embellishments are carefully chosen to match the overall look I was going for. Using various stickers and embellishments will further enhanced the texture on the layout. 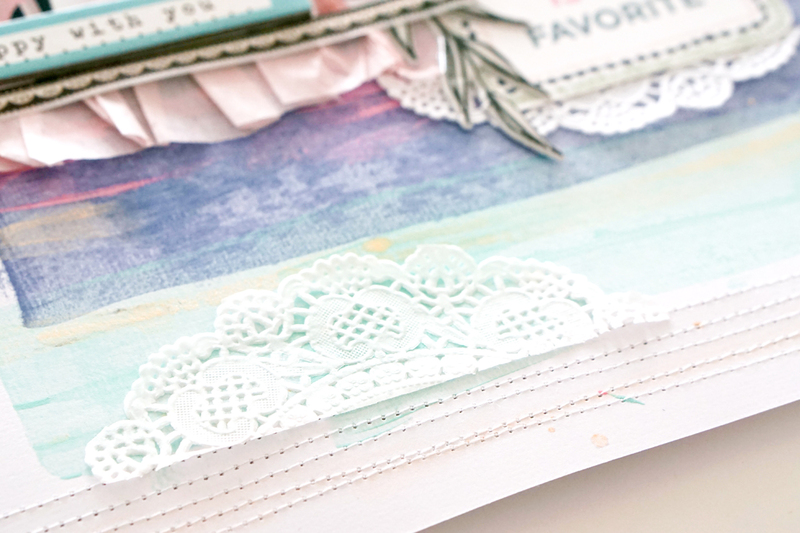 Layering embellishments is definitely one of my fav thing to do! 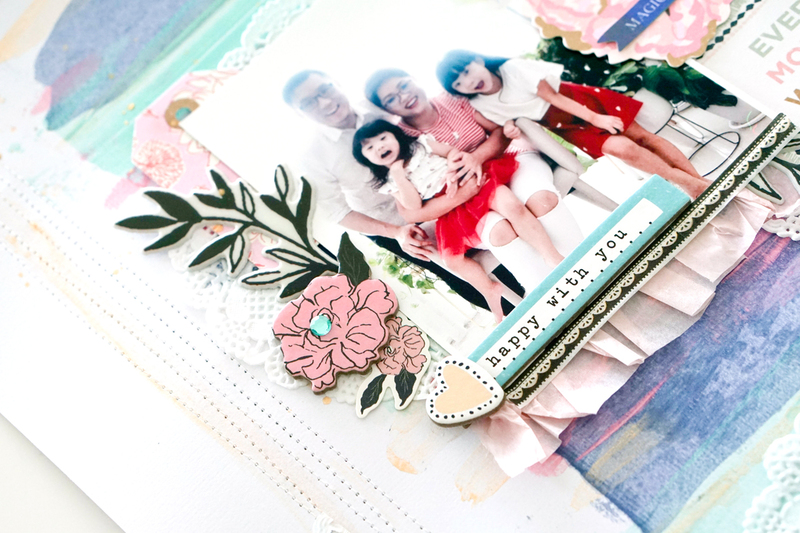 I just loved that pink crepe paper under the photo, really pretty! Adding paper doilies are also what I love to add to my projects too. These doilies projected the subtle elements and yet looking classy without overwhelming the whole layout. I hope you will give a try with the acrylic paints on your projects. They sure give you the artsy feeling in a fun way! Thanks letting me share today.